Meet Sophie - Your personal coach. Sophie provides awareness of your daily patterns and behaviors to guide you in a direction of feeling more rested more often. You become the master of your own sleep. Why Sophie? - The suffix “-sophy” is defined as thought or wisdom. An example of -sophy is in the word philosophy, which is a set of ideals, standards or beliefs used to describe behavior and thought. Sophy comes from Greek and means Wisdom. Sophie, your SleepSmart coach, is here to bring you wisdom about sleep. Going deeper - the study of sleep is called Polysomnography (it's a mouthful). We here at SleepSmart strive to go beyond that, to get to the WISDOM of understanding the data and the context of sleep. That's where Sophie comes in. Her goal is to help you gain understanding of your nights, so you become empowered to make your days better, more productive, and enjoyable. She brings you Sleep WISDOM, or, Polysomnosophy. From awareness comes behavior change. That’s Sophie. Improving Sleep Through Personalized Data Driven Insights. 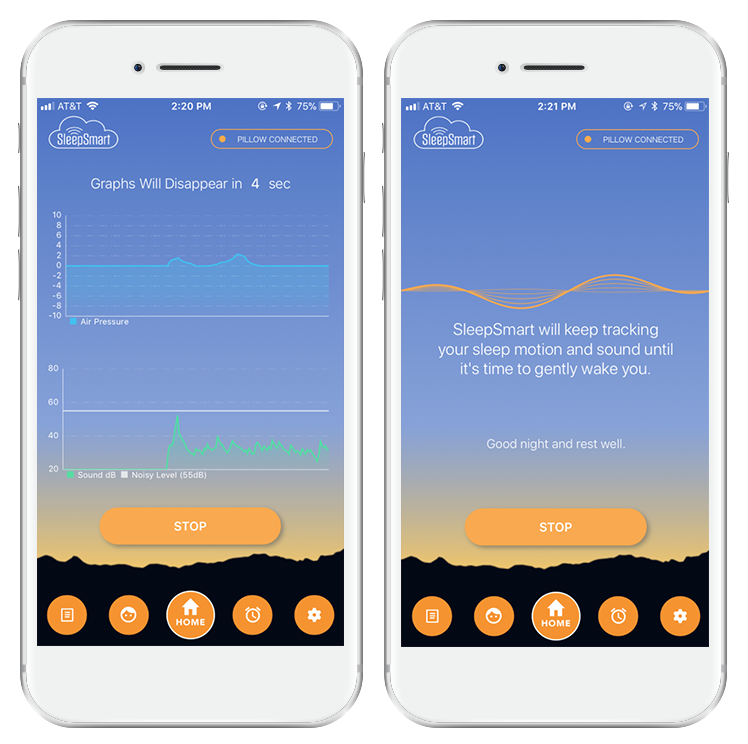 This app was built with the goal of helping you build awareness of how the things you do during the day affect your sleep and how the your sleep affects the things you do each day. Sophie combines this data and looks for patterns. 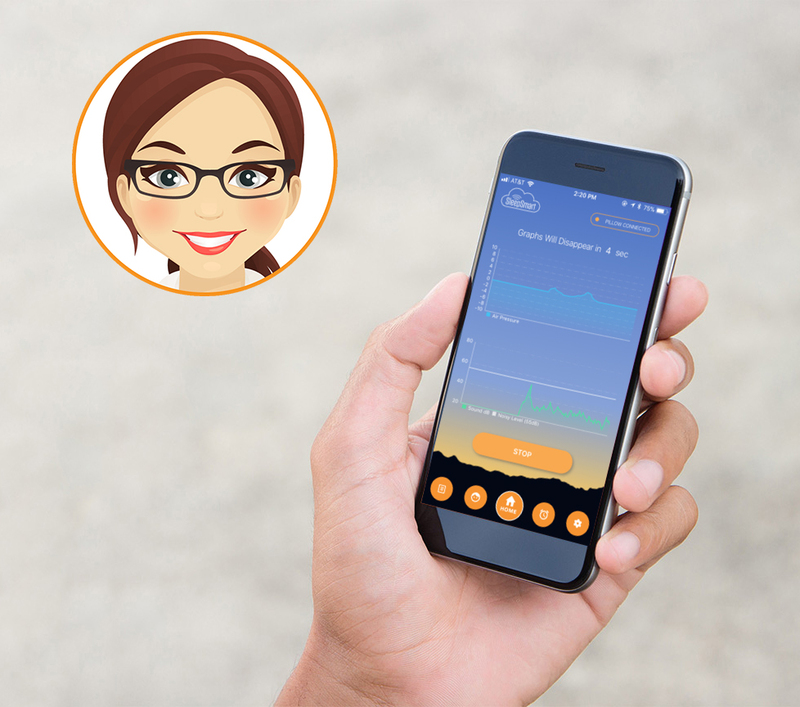 Through the SMS/Texting style interface - Sophie will chat with you about your personal patterns via summaries, alerts, and actionable strategies - with the goal of helping you rest better. Sophie makes it easy for you to focus on the actions and not worry about the data. The power of Sophie is in the picture she paints with your data. This chart shows the results from an early prototype where a user tracked his lifestyle context over 110 continuous days. This brings to light things that we often have a hard time remembering, such as when we felt we had a bad night sleep, how often we drink alcohol, when we had a sick day. In 4 seconds a day this user was able to learn about their habits and patterns.